A new Algonquin Times app, which will enable every student to send words, photos and video to the campus newspaper with a single click, was unveiled at the applied research fair April 13 in the student commons. A new app that is currently in the works aims to bridge the gap between readers and reporters by allowing users to send tips and article ideas directly to The Algonquin Times editorial staff. 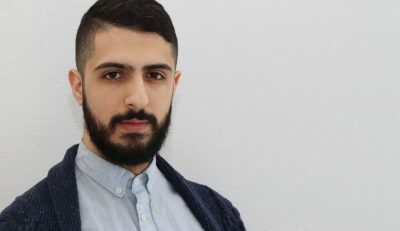 The app is being put together by a project group of second-year students from the mobile application design and development program, and is the product of a full semester of work. When completed, the goal of the app would be to bring Times journalists and the public closer than ever before and allow users to instantly communicate ideas and tips with the paper’s staff. 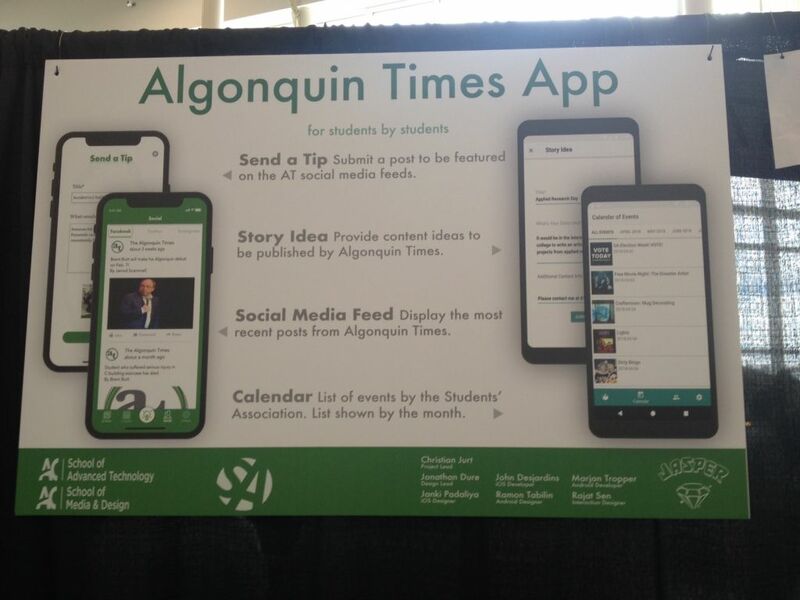 “The goal was to make an app that encompasses The Algonquin Times, but also (lets) the students of Algonquin participate,” design lead Jonathan Dure said, describing the ideas behind the its inception. In its final form, it would essentially be a “Swiss Army app” that offers multiple distinct services to its users. It would provide access to the Times‘ full roster of stories, a social media deck, and an Algonquin events calendar which lets users track upcoming events they’re interested in and create custom notifications. The app’s primary function is allowing users to submit story ideas and tips directly to the Times staff. This will help the paper produce more stories that address readers’ interests and needs better, but more importantly, would let users bring new developments to the Times’ attention in real time. Although the team said they were very “excited and proud” with the app, its development has not been without difficulties. At the start “everyone was on a separate page… there were some shouting matches,” iOS development lead John Desjardins said, explaining that a number of proposed features didn’t make it past design discussions, and at times those discussions were quite heated. Other features were changed to suit the team’s collective vision for the app. 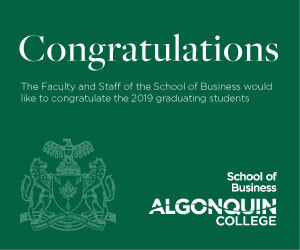 The official reveal took place on April 13 at the Applied Research and Innovation centre’s RE/ACTION fair, at Algonquin’s Woodroffe campus. A functional demo will be available at the event and members of team Jasper will be on site to answer questions. The team’s goal is to have the app completed by the end of the semester, Jurt asserted. Afterwards, the app would be handed to a private developer and is expected to be available for download for Apple iOS and Google Android by the end of 2018. Want to be a reporter? There’s an app for that Reviewed by Asen Aleksandrov on April 11, 2018 .